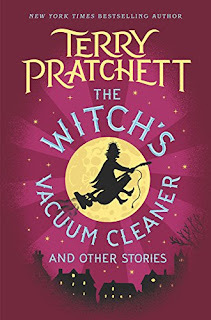 It's the end of the second week of our Diana Wynne Jones / Terry Pratchett celebration and, for me, it was another great week of short story reads. 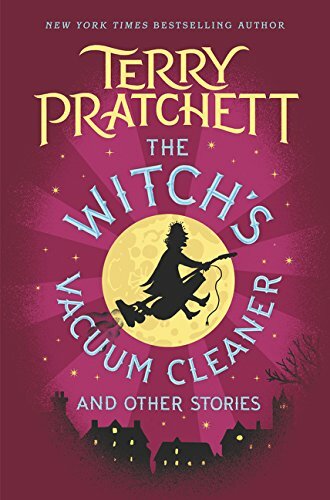 I spent the first part of the week reading The Witch's Vacuum Cleaner and Other Stories, the second volume of short stories for children that Pratchett wrote in his younger years -- from 1966-1973. This was another joyful collection, full of humor and friendship and, in this one, the wild west of England -- Wales. And, while every story in Dragons at Crumbling Castle was equally fun, this book actually had a couple of stories that stood out and that I would call favorites. "The Truly Terrible Toothache" is hilarious, in that a librarian accidentally brings an Elizabethan magician to the present day and he starts changing the town and the people into what he remembers. The librarian fights his hardest to not let his language change so that he won't forget he's a modern man. It has the funniest dialogue and a cute twist. "The Blackbury Park Statues" was so incredibly sweet. The statues in a park are alive and, when an older woman who has been coming to the park her whole life to feed the ducks stops coming, they miss her and go on a quest to find out what's wrong. To be honest, I think this collection is actually stronger than the first. That isn't what I was expecting at all. What a pleasant surprise! I now have to find out if the holiday collection will be published in the US or if I need to make a little Foyle's order. 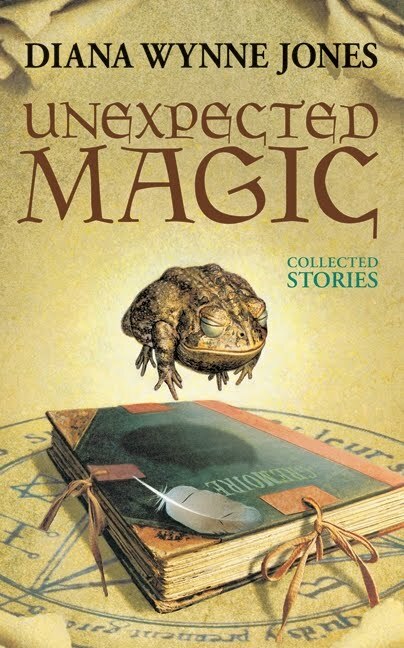 Then I reread Unexpected Magic and was transported again into some favorite DWJ worlds. The thing with this collection is that some of the stories are more for adults while others are okay for older middle grade/YA so it's a little harder to get into a reading groove. 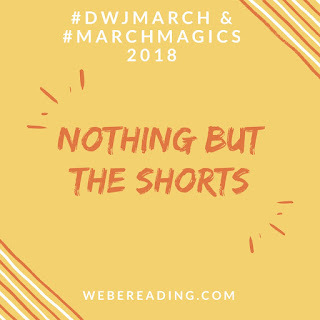 But, if you stick with it, you will be rewarded with some amazing stories (and one stellar "novella" which is really long enough to be a novel). "The Girl Jones" is a (likely embellished) autobiographical tale about the day 9 year old Diana gets put in charge of a dozen or so little siblings of other kids in her village. I think about it all the time actually because it's just such a perfect portrait of someone who thinks differently enough that she was destined to become a storymaker. 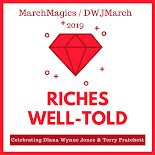 "Dragon Reserve, Home Eight" seems to be set in the sequential worlds of Chrestomanci or the parallel ones of the Magids and it is far and away my favorite DWJ short. I would have loved to have seen how Siglin spent the next few years and to be able to explore more of the worlds. This book does have some strange science fiction stories (which I don't think are DWJ's strength) and some creepy tales that are basically horror that aren't quite to my tastes. But there are enough gems (including the 230-page Everard's Ride) to make this a volume well worth visiting and revisiting. Now that I've read it all of the way through twice, I think I'll just start reading individual stories when I'm in the mood! So, what did you read this week? Leave thoughts or links below! I haven't managed to pick up Unexpected Magic, but I'm still working through my stack. I can't believe the month's half over already! HALP. But it's been fun so far! 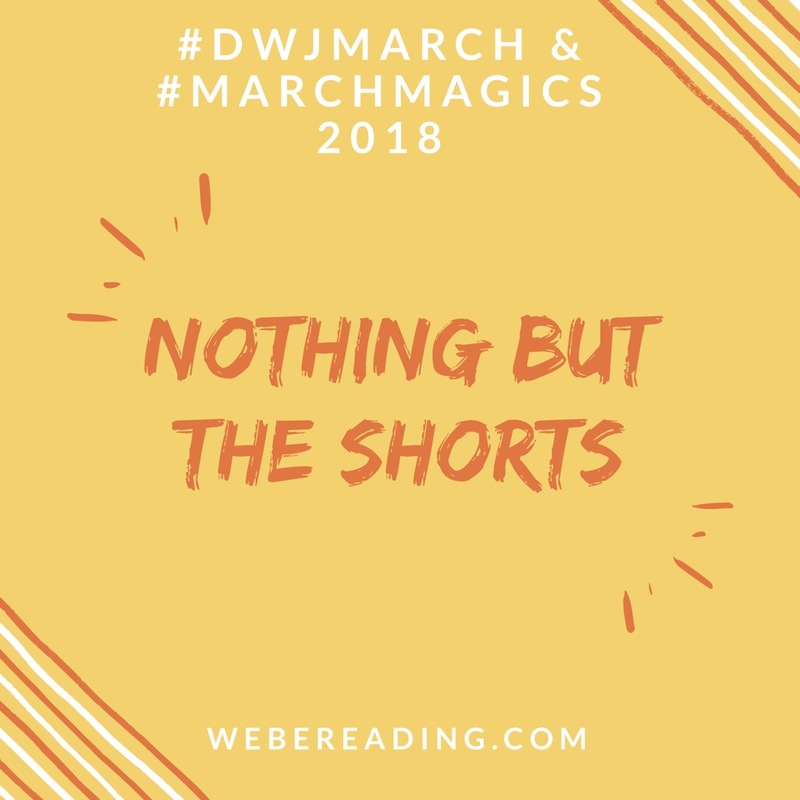 There are definitely a few DWJs that are more serious and I like that they balance out the fun books -- although, to be honest, I don't reread them as often. I'm starting A Blink of the Screen today! Yay! Yes, I had forgotten how much I loved Everard's Ride. She just does such a good job with the interpersonal relationships in it. I wish it was in its own book so that I could remember to read it more often!